Like most electronic stuff, robots are not immune to cybercriminals. Last year, researchers at IOActive detected as many as 50 vulnerabilities in robots developed by the Japanese firm SoftBank. They informed the manufacturer but never heard back. So this year at the Security Analyst Summit 2018, they decided to demonstrate what can happen if a robot gets hacked. Robots are all around us, toiling away in factories and warehouses, busting a gut in landfills, and even working in hospitals. For its part, SoftBank Robotics supplies electronic helpers to work with people. The NAO model introduces school kids and students to programming and robotics, and it also teaches children with autism. Another model, Pepper, was created to work in the service sector — its tasks include attracting potential customers and consulting with buyers. As the IOActive team discovered, to seize control of NAO you only need to be on the same network as the robot. The experts found vulnerabilities allowing commands to be remotely executed on it, effectively giving over full control of its actions. 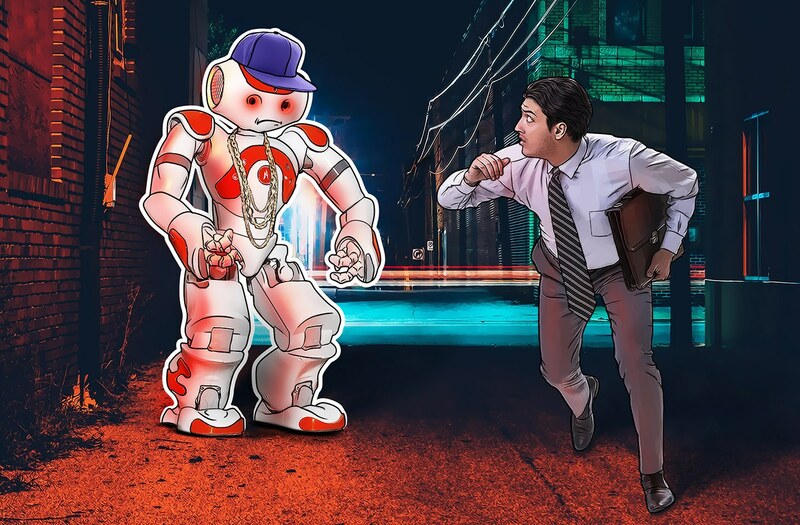 To demonstrate how these vulnerabilities can be exploited, the team forced NAO to demand bitcoins from its human interlocutor; but real criminals would be limited only by their imagination and programming skills. What’s more, it’s not just NAO that can be infected with ransomware; the more business-oriented Pepper is just as vulnerable, and other models probably are as well. Just imagine if one fine day a robot teacher or store clerk, in full view of John Q. Public, started swearing and insulting people before going on strike or picking a fight. You never know! What do criminals have to gain here? Won’t it just spoil someone’s day — or their life? That might be enough incentive for some hackers, who often do such things just for fun. But there’s another reason: money. The profit motive is pretty simple. Buying a robot costs about $10,000; and if it breaks, it has to be repaired or replaced. Both of those require a fair bit of cash to start — but factor in the downtime cost and reputational loss of having a robot threaten customers and the sum rises considerably. And if an industrial robot is hacked, it can pose an immediate threat to employee safety or production quality. An attacker compromising a robot in one of those ways might offer a quick solution to the problem (which they caused) — pay a ransom and everything will be just fine. But, as you might guess, cybercriminals don’t always keep their word. And, of course, the vulnerable robot might be hacked again, requiring another payout. And then another one. Robots are here to stay (and multiply), so avoiding contact with them ain’t the way to go. For that, you’d need to invent a time machine and go back a ways. Instead, users — and especially manufacturers — need to be sensitive to robots’ weaknesses. To ensure that devices don’t go from cutting-edge to catastrophic in the blink of an eye, robot creators need to think through security issues in advance, before production starts. Today. Better still, yesterday. And then, after product release, all ears must be kept firmly to the ground so as to respond promptly to reported vulnerabilities and get them fixed.